TULUM, MEXICO .- According to an extensive report published by the The New York Magazine, Tulum went from being one of the most popular tourist destinations in the world to an inferno led by corruption and an environmental crisis that disappoints national and foreign tourists alike. In a report by Reeves Wiedeman, the American journalist questions who killed Tulum? After investigating the environmental, tourist and economic issues of a region that until a few years ago was known for its white sand beaches and pristine blue sea. Today these beaches are increasingly saturated by sargassum, mixed with dead fish and other marine creatures, leaving a rotten egg smell that scares the tourists away. 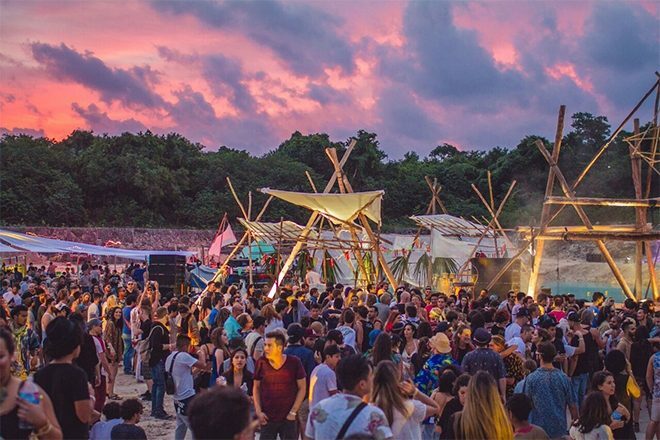 The Mexican government took on the task of turning Tulum into a holiday destination with luxury hotels, spiritual ceremonies, experiences in cenotes, relaxation, meditation, yoga, healing and oneself introspective encounters. Despite the paradisiacal information about Tulum that floods the web and social networks, the report also uncovers other plagues such as greedy business owners (local and foreign), water contamination, drugs, fake shamans and rave parties that have wiped out the virgin beaches while the pockets of investors continue to fill up. The city has 40 thousand residents, and since there is no electricity on most of the beachfront properties, these require diesel generators that work 24 hours a day (creating noise pollution), in order to be able to operate the air conditioning systems that customers demand. In addition, the coral reef is being killed because most properties do not have an adequate sewerage system, which causes waste to seep into the water table underground, and into the ocean. In just 18 months, the new dump that had to process the sanitary landfill in Tulum for five years has totally overflowed, and the beach and the jungle are saturated with construction sites. To make matters worse, only 10 percent of the city is connected to the municipal sewer system and waste seeping into Tulum filters into the underground rivers, contaminating the sacred cenotes. Even so, Tulum is a city of transitory boom where the activists uselessly try to tackle problems that go beyond their proposals. For example, those who criticize the businesses that harm the environment are the same ones that belong to exclusive gyms with air conditioning. Dozens of foreigners have invested in beachfront properties, and they’re not doing anything to adopt solar energy instead of those noisy diesel power generators.